Reoperative thyroid surgery is an uncommon procedure that is indicated in recurrent benign or malignant disease. It is associated with a high complication rate, especially of hypoparathyroidism and recurrent nerve palsy. 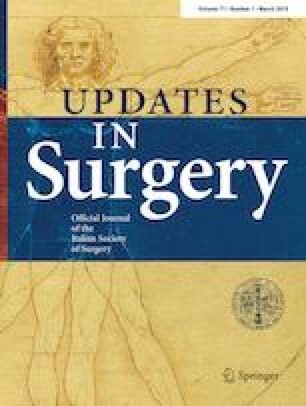 We retrospectively reviewed our series of patients on whom reoperative thyroid surgery was performed and we compared this group with patients who underwent primary thyroidectomies. From 2002 to 2015, 4572 thyroidectomies were performed at our institution; among these, 152 (3.3%) were for benign or malignant recurrent disease. We observed a higher rate of transient hypoparathyroidism in secondary vs primary surgery (56.6% vs 25.9%; p < 0.0001), of permanent hypoparathyroidism (10% vs 2.0%; p < 0.0001) and of transient recurrent nerve injury (4.6% vs 1.4%; p < 0.05). Reoperative thyroid surgery is a technical challenge with a high incidence of complications. Scarring, edema, and friability of the tissues together with distortion of the landmarks make reoperative surgery hazardous. Careful assessment of patient’s risk factors, physical examination, and if necessary fine needle aspiration cytology are crucial for selecting the patients who should undergo reoperation. Research registry n. 2617 registered 5 June 2017 (retrospectively registered). All data was anonymized and de-identified prior to analysis and the study was reported in line with the declaration of Helsinki. Ethical approval was given by local ethics committee (Independent Ethics Committee, University of Cagliari). Each patient included in the study gave consent to participate to this study.